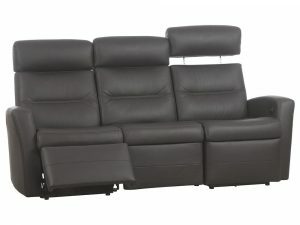 Sale, floor model and clearance items, with reduced and discounted prices, limited availability. 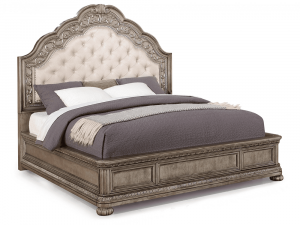 Add luxurious charm to your bedroom with the intricate wood carvings and metallic accents of this gorgeous collection. 5pc. King Bedroom includes King Bed, Dresser, Mirror and Two Night Stands. 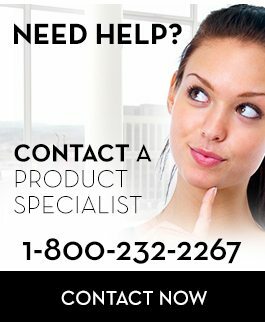 Center supports with adjustable levelers. Two bolts in each corner of the frame. 9pc. 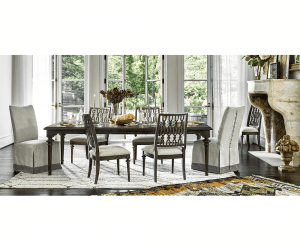 Dining Set includes Oval Dining Table, 2 x Arm Chairs and 6 x Side Chairs. 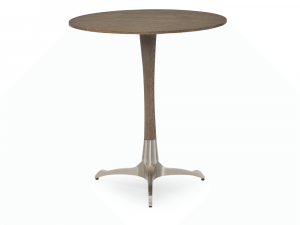 The dining table has an oval top inlaid with a radiating pattern of figurative walnut. 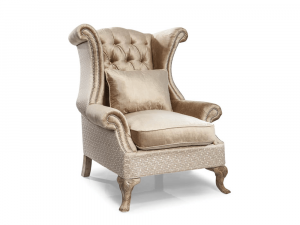 Chairs are upholstered in an elegant taupe high performance fabrics. 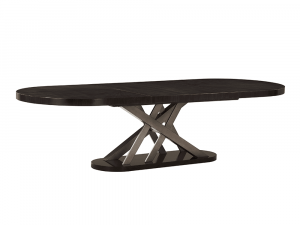 The table can be extended to seat eight with 2 x 18″ extension leaves included. 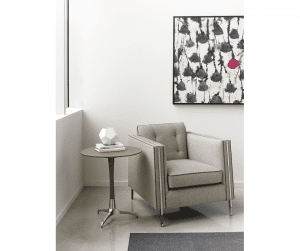 Even in the most refined setting, comfort should never be an afterthought. 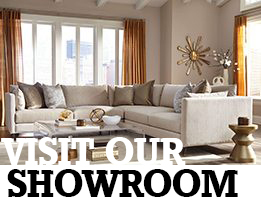 With traditional style embracing relaxed comfort, this gorgeous collection features performance fabrics, metal knobs with tortoiseshell inset on diamond-shaped escutcheons, metal accents that provide an element of surprise, all to create an ambiance of tradition without formality. 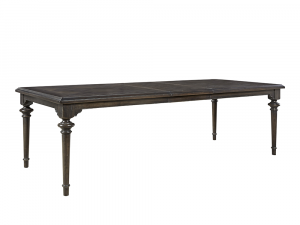 Table includes 1 x 20″ table leaf. Exhibiting a cohesively sophisticated design, this striking collection bears tranquility in its simplistic yet elegant composure. 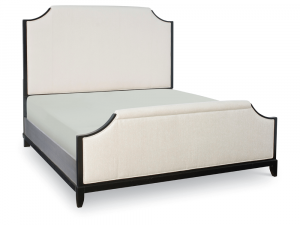 King bed available only as shown, featuring upholstered linen headboard and storage footboard. 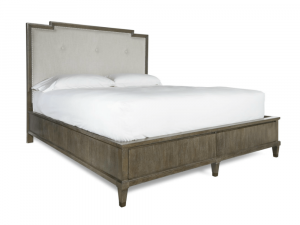 King Bed is crafted with quartered Oak veneers, walnut inlays and select hardwoods. 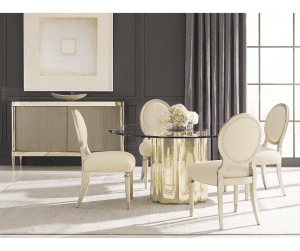 Reserved elegance with a modern approach to classical design defines this stunning collection. 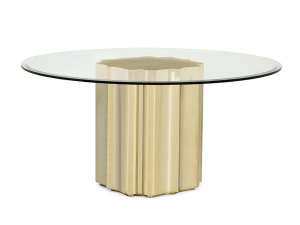 Honouring Greek and other European influences, featuring a riveting mix of gentle curves and clean edges, this table lends a regal ambiance to any living space. Curved legs with metal ferrules. 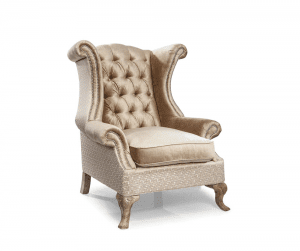 Create an elegant urban sanctuary and accomplish that modern neat and tidy look, with a hint of rustic flair, by adding any or all pieces from this gorgeous collection to your home. 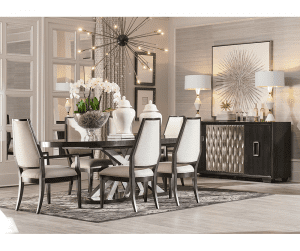 Crafted from select hardwoods in a grey Zebra-wood finish, the collection features bold frames with clean lines, highlighted by dapper metal accents for a distinguished luster. 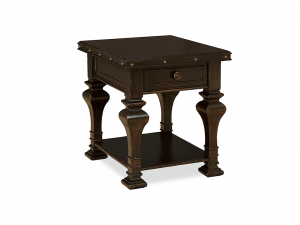 Functional and practical, this attractive end table features a stunning minimalist design, that tales up virtually no space, while lending a small place for at hand accessories. Sleek and stylish, boasting a lightly brushed chrome metal base, it's truly perfect for any type of living space, large or small. 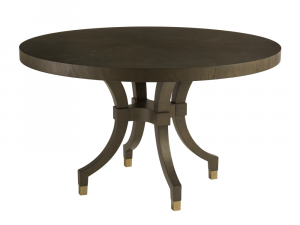 Crafted with a contemporary scalloped design, this spectacular table brings inspiration to the dining room. 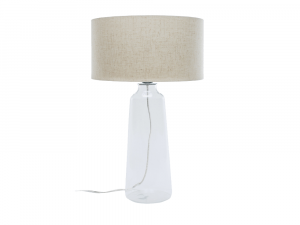 A reflective beauty, perfect for an intimate dinner for two or a small gathering of four or six. Pedestal is fully clad polished metal plated. Features 54″ tempered glass top.